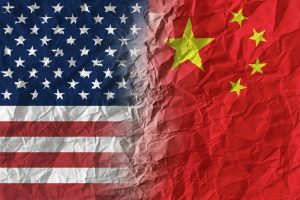 U.S. and Chinese Recycling Relations | HOBI International, Inc.
U.S. companies that collect waste for recycling are weighing higher prices and other changes to their operations since China upended the industry when it stopped accepting a majority of the scrap material Americans have been shipping there for decades. E-Scrap, a Resource Recycling publication, reports that while the recycling relationship between the U.S. and China was hampered by scrap material restrictions, both countries can help each other. Industry expert, Chris Cui, director of China Programs for Closed Loop Partners, says recycling companies in China have long played the role of outsource recycling processors for countries such as the U.S. She points out that while Chinese companies have the ability to process materials at relatively low costs, the U.S. is far more advanced in collection and transportation of recyclables. As the trash begins to pile up, American cities are scrambling to figure out what to do with everything they have previously sent to China. At the same time, China’s recycling rate hovers at a “very low” level compared with the U.S., Cui said, and most material in China is being landfilled. China’s huge population makes it fairly difficult to site landfills in the country, so given the predicted trash generation increases, landfill alternatives have received greater interest. Pushing toward a circular economy system is “of strategic importance to the government,” Cui said. “They’re coming up with a holistic approach to support the development of this sector, for private sector as well as for public sector, as well as for foreign investors coming to China to invest,” she said.